Pete Bunn has been a principal shareholder in the firm since 1980. After obtaining his Bachelor of Arts in 1971 and his Juris Doctor in 1975 from the University of Kansas, he was admitted to the State Bar and the U.S. District Courts for the State of Kansas in 1975. 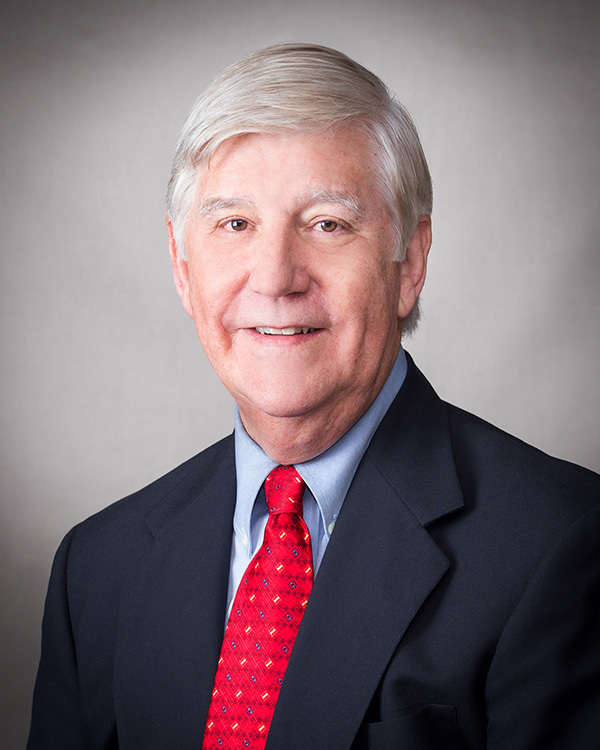 He is a member of the Kansas and Johnson County Bar Associations, and has been an active member of the Family Law Bench-Bar Committee since 1978. From 2006 to 2013, Mr. Bunn was an instructor for the Johnson County Domestic Court Services Solid Ground course. In 2000, Mr. Bunn was honored by the Marquis Who’s Who in American Law Publication Board. Inclusion in this group is limited to those individuals who have demonstrated outstanding achievements in their own fields of endeavor. He also was designated a Super Lawyer® in 2006. Judges and other attorneys have designated him to be AV Preeminent® Peer Review Rated™ by Martindale-Hubbell® since 1994. Pete has been active in community affairs as well, having served on the Blue Valley Educational Foundation Board of Directors for ten years and as President from 1994 through 1995. He also is a member of Grace Covenant Presbyterian Church where he has served on a variety of committees and as an Elder. Mr. Bunn lives with his wife in Leawood, Kansas. Mr. Bunn practices in the areas of business law, business organization, family law, real estate law, representation of trade associations, and litigation.